The Patriots beat the Rams but only a score of 13-3. Superbowl LIII (53) at half-time was the second lowest scoring game in history. The first half of Sunday’s game between the Patriots and the Rams ended in the second lowest scoring first half in a Super Bowl at 3–0, New England. It was 44 years ago when the Steelers led the Vikings 2–0 at half time in Super Bowl IX back in 1975. 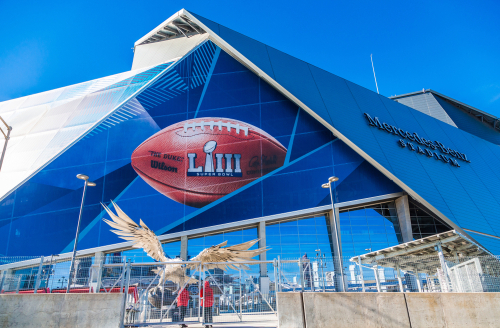 About 103.4 million people watched Superbowl LII last year, which was the smallest audience for television’s biggest yearly event since 2009. Note the year – 2009. Interestingly enough, when the economy turns down, so do sports. 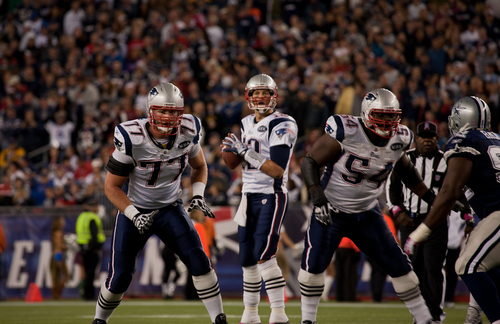 The all-time record high for viewership was 114.4 million for the Patriots-Seahawks game back in 2015, peaking with the Economic Confidence Model. It is curious that in good-times, when everyone is fat and happy, we do not see wars and we see sports do well. The sharp decline post-2015 seems to be correlating with the economy. True, the US economy has been holding up the world. But its growth rates has been steadily declining. Last year’s Super Bowl (LII) came down to the wire, with Nick Foles leading the Philadelphia Eagles to a 41-33 victory over the Tom Brady-led New England Patriots. That stunning victory for Philadelphia over the favorite, was down significantly in viewership. Last year, I noted that just looking at the risk analysis, it appeared that Tom Brady, New England’s quarterback, had peaked. He entered the NFL in 2000 and he is one of only two players to win five Super Bowls (the other being defensive player Charles Haley) and the only player to win them all playing for one team. Last year he lost to the Philadelphia Eagles. Cyclically reviewing the prospects, Tom Brady appeared to have peaked with his win in 2017 which was 17 years (2 * 8.6) from the beginning of his career. Here we have in Superbowl LIII, certainly a very low scoring game. How do we measure this peak? Points, wins, or viewership? From a point perspective, scoring 13 points compared to last year’s 33 points for Brady was a significant decline. So was this just a reaction rally within a broader declining trend? In case you were wondering, six points is the fewest scored through the first three quarters in Super Bowl history. When we get the final viewership numbers, I suspect we will see the bear market decline still in motion. Then there are the pundits that say the Patriots’ Super Bowl win warns of a bear market for the stock market. That is one of the popular myths as is the rise and fall of women’s skirts – very short like the Roaring ’20s = bull market; down to the ankles in the ’30s was the sign of depression.